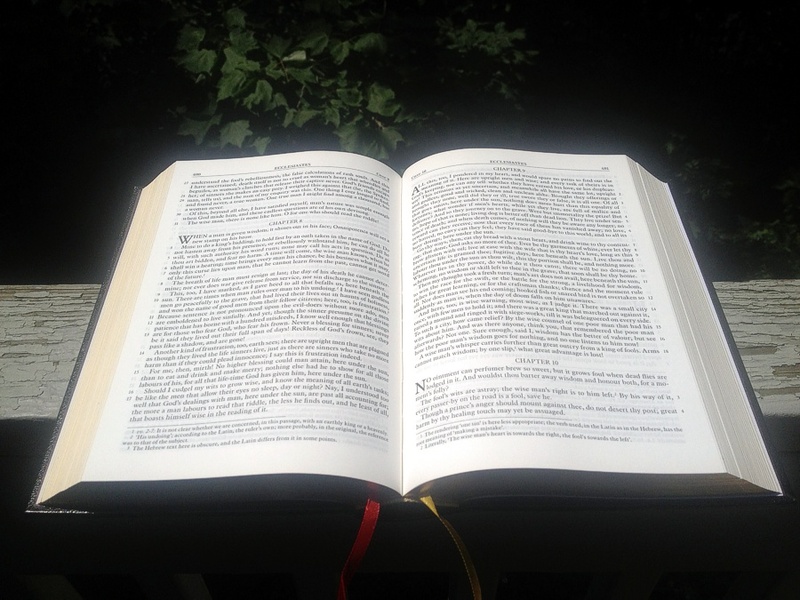 New Liturgical Movement: Looking for New Insights into Scripture? 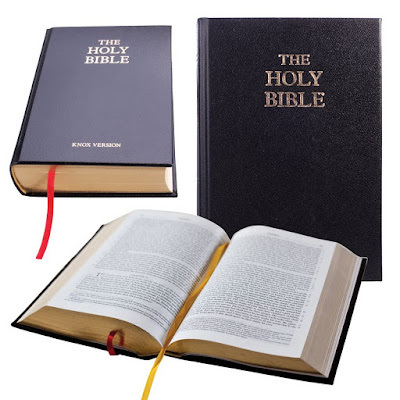 In fact, this state of affairs has been more of a help than a hindrance to the understanding of the Scriptures, provided only that readers are not casual and careless. The examination of several versions has often been able to throw light on obscurer passages, as with that text of the prophet Isaiah (58:7), where one translation has, And do not despise the household of your seed, and another has, And do not despise your own flesh. Each corroborates the other; that is, each can be explained by the other ... [P]utting the minds of the translators together, we hit upon the more probable meaning that we are being commanded, according to the literal sense, not to despise our blood relations. The Bible has been translated now hundreds of times into English, over a period of more than half a millennium. Most of these translations have come and gone, for reasons both intrinsic (having to do with the translation) and extrinsic (cultural or political). But among Catholics who are in earnest about the long use of Scripture in public worship, the Douay-Rheims has surely come to occupy a position of permanent honor, for the simple reason that it gives us a close rendering of the Vulgate. Now, I am all in favor of the Douay-Rheims translation. It is my go-to Bible when working with liturgical, patristic, or medieval texts, or when studying the psalms of the Divine Office. I can't imagine life without it. Still, all the same, I have often been surprised at the extent to which some Catholics insist on using no other Bible than the Douay-Rheims. This is truly unnecessary and even unhelpful when studying Scripture. As we saw the Doctor of Grace point out, we can often come to a much deeper understanding by reading a passage in multiple versions. I have found in my own life that lectio divina benefits tremendously from taking up a familiar book in an unfamiliar translation. Obviously, whatever translation we use ought to be accurate and possessed of some literary merit, unlike (for example) the New American Bible, which is written in Nabbish. I first came across this sui generis translation by Msgr. Ronald Knox in college, long before I was capable of appreciating its peculiar virtues. Years later, when I was reading a spiritual writer who prefers to quote from the Knox Bible, I was reminded of what a marvelous and intriguing version it is. The great strength of Msgr. Knox's rendition is its sonority and creativity of diction, its poetic breadth, its surprising twists and turns, and its clever solutions to many intractable verses. Some have observed, and I would tend to agree with them, that Knox makes more sense out of St. Paul than most translations do, because he seems to have a connatural feel for the inside of the apostle's argumentation, what he is "driving at," and finds a way to convey that in our language. Knox also shines brightly in the Wisdom literature: Psalms, Proverbs, Sirach, the Song of Songs, and so forth. He is the only one who seriously attempts to convey the literary form of Psalm 118. Yes, Knox can be idiosyncratic; yes, he can get carried away with rhetoric; but the text is usually so brilliant, illuminating, and moving that you find yourself reading with greater pleasure than you would have thought possible. In any case, this post is not really meant as a full-scale review of Msgr. Knox's version; such would require a far more detailed examination with plenty of quotations. It is meant, rather, as an encouragement to NLM readers to get to know the Knox Bible if you are not already familiar with it. I had forgotten its unique appeal until I received my copy of the Baronius Press edition, which, like all Baronius books, is magnificent in every way, from the hardcover with ribbed spine and gold lettering, to the gilt edges, to the marbled endpapers, to the red and gold ribbons. 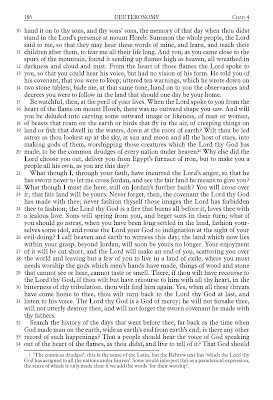 My favorite aspect of this Bible is the manner in which the text is laid out: instead of the standard two-column approach sprinkled with verse numbers everywhere, which can make the act of reading feel like stepping through a mess of wires, we have the appearance of a regular book, in a single column, with all the verse numbers relegated to the margin. Here are some observations jotted down while reading different parts of the Knox Bible, to give you an idea of how it can open up Scripture. A site called CatholicBible.Online gives one access to the Vulgate, Douay-Rheims, and Knox, either alone or side-by-side: enormously helpful! The titles below (e.g., Ecclesiastes) are hyperlinks that will take you to the pertinent spot at this site. I have never felt so close to the mind and heart of the author as I did upon reading this translation of one of the Bible's most puzzling books. Rather than providing a list of vanities, the author seems to be searching through a collection of memories for something worth living for. It didn’t seem that I was being preached at, but that I was witnessing a man’s internal conflict. Chapter 3:1-9 came off very differently. In the RSV, it says “for everything there is a season, and a time for every matter under heaven: a time to be born, and a time to die,” a time for this, and a time for the opposite, etc. But Knox translates this in a way that stresses the tension between the contrary acts more than the constant similarity: “Men are born only to die, plant trees only to displant them. Now we take life, now we save it; now we are destroying, now building.” Knox's linking of the author’s chain of thoughts causes one to rethink one's own struggle with conflicting emotions or events, and to yield to divine Providence. It would be difficult to imagine a more sublime translation of this prophet: so smooth, fluid, luminous. One strongly senses in the very sound of the words and tone of the language whether Isaias is praising, comforting, mourning, or chastising. The story of the martyrdom of the seven sons and their mother is presented in a way that makes it seem both epic and tragic, and also somewhat like a Grimm fairy tale. I’ve never felt so much catharsis upon reading this story before. The Sermon on the Mount is beautiful, timeless, and challenging. Knox conveys its altitude and grittiness through his translation. Other translators often want to break it up into sections on different issues, which makes it come across like a catechism outline. But there is something lost in the separation into parts that Knox retains by leaving it as a whole and imparting it with poetic language. It’s easier to imagine listening to Jesus saying these words when reading this translation, whereas other translations have felt like a series of little canned speeches. The prologue to John’s Gospel is dense with mysterious truths. Some English translations make it more confusing and ambiguous; here, particularly, we benefit from multiple versions. Admittedly Knox here is anything but modest in drawing out the meaning he finds in the tight phrases of the Greek, but I find, on the whole, that is resonates with freshness: "And the Word was made flesh, and came to dwell among us; and we had sight of his glory, glory such as belongs to the Father's only-begotten Son, full of grace and truth. ... No man has ever seen God; but now his only-begotten Son, who abides in the bosom of the Father, has himself become our interpreter." Knox’s translation begins with a question, "What is faith?," whereas others begin with the answer. It is more effective to teach a definition of something if the student first asks for it. By beginning with the question, the reader experiences the asking and is thus more receptive to the answer. The Douay-Rheims translation, although accurate, is often totally uninteresting in poetic technique. 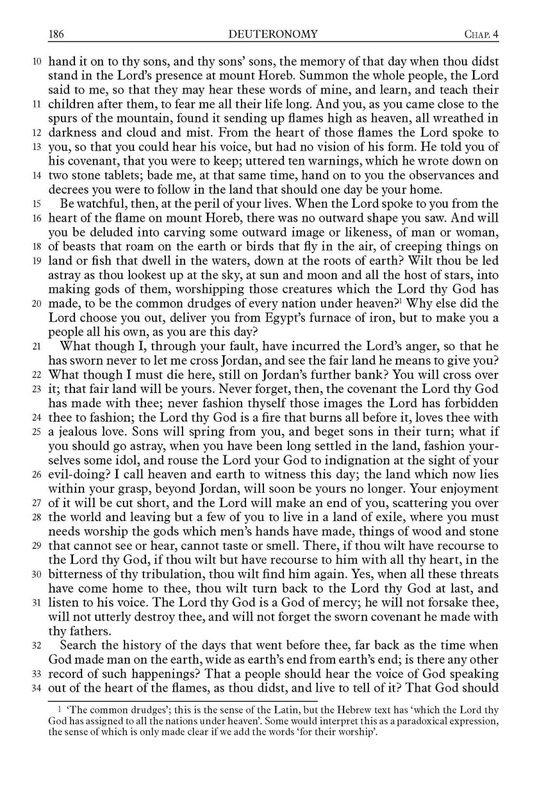 In this passage, it repeats “By faith” at the start of 18 lines. The rhetorical device called ‘anaphora’ can be effective, but it loses its effect when overdone; more than three lines in a row is probably too much. Realizing this, Knox repeats the same idea in different ways by anaphoras of three. He uses “by faith” three times, but also “in faith” three times, and “Faith . . .” three times, etc. This re-emphasizes the same idea without repeating the same exact phrase too often. It is part of the reason why Knox's version generally makes for excellent reading aloud. Consider giving this translation a chance in your lectio divina, Bible study, or academic work, adding it to the arsenal of tools you may already have for breaking open the Word of God and feasting upon it. Teaching Christianity, trans. 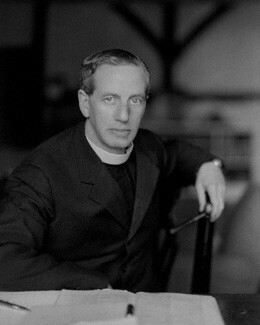 Edmund Hill, O.P. (Hyde Park, NY: New City Press, 1996), II.17, p. 136. For more photos, see this review from a while ago. In this respect it is akin to what are called nowadays "reader's Bibles," the best of which is the high-end 5-volume Bibliotheca, about which I hope to write a separate article someday.